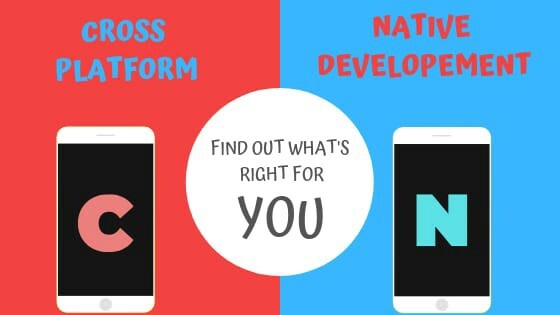 So you are deciding which approach to take up on your next mobile app, Cross-platform or native-development. You must be stumbled upon loads of articles mentioning all the pros and cons of both approaches. However, in this post, I will try to put all the facts in context and try to work out what will work for your team and your project. Before we begin, If you like you can visit the following links to get a clear picture of both approaches. Mobile Cross-platform App vs Native App — What’s The Difference in Development and Which One is Better? I always decide the approach based on the following parameters. Is this project about a new/untested idea? If you are on a project which is about some new or untested idea, please expect a lot of changes from the initial requirement. As the product will get its feedback, your team will be expected to deliver the feedback as soon as possible. In these kinds of situations, generally, speed is preferred as the product team is trying to figure out the right requirement for the market. I would give 1 point to the cross-platform approach as they are fast to deploy on both android and ios platforms. 2. Is this project to be delivered on both platforms (Android and ios)? If you are making an application specific to only one platform then it will be a good idea to use native app frameworks such as Android / Swift (ios). The native app framework will give optimized user experience to the platform audience and it will be a big plus for the product. 3. Is your company/team has the competency for the approach you are taking? 4. Is the performance a deal breaker? If you are looking for projects having demanding Non-Functional Requirements like Battery optimization, offline support etc, you should really consider the Native apps frameworks. These optimizations are highly platform dependent and platform-specific frameworks do provide better ways to handle these requirements. The cross-platform libraries may provide bridging capabilities but they are not as good as the native framework. So, If NFR’s are really critical for the product, prefer the native app framework. 5. Is the UX a deal breaker? The audience of android and ios are experiencing slightly different User experience than one another. The people are using their phones all the time and they hate when they experience something unfamiliar than the rest of their apps. If you are into the product which is actually a critical part of your value proposition delivery, You should give 1 point to native approach. While if the product is for the content delivery and the UX is not that critical, you can go by either of the approaches. 6. Is this an internal project or a B2B application? This is just an extension to point 4 and 5. If your application is B2B or internal project, you have some amount of control on requirements and can decide to ease the NFR part of the application. Thus you can decide on building Cross-platform if you prefer to go fast and evolve fast or may go with Native if you want to keep things high notch from the start. Does this checklist help you? Do let me know:). Also if you think, there is something missing, you can comment and I will put it in the list. Hustler| Open source enthusiast| Mobile developer| React Native| Kotlin. I write on Tech and Business.